Best Hiking Boots, Sandals, and Shoes | Tested. Proven. Ready for Trails? Top-reviewed hiking boots, sandals, and shoes to buy. best hiking boots and shoes: ranked, reviewed, and tested by pros. Searching for the best new pair of hiking boots or shoes? Ready to handle any trail and terrain for backpacking, camping, and hiking? Nothing beats a great pair of hiking shoes. The right boots, sandals or shoes let you push it, no matter the terrain. Rolled ankles and bad blisters are adventure killers. With great hiking footwear, you can avoid a lot of these trail nuisances. In a lot of ways, your hiking shoes are just as important as your rucksack or tent. Choose the right footwear and you’ll be able to go further with greater comfort. But what makes for great hiking shoes? What features should you look for? 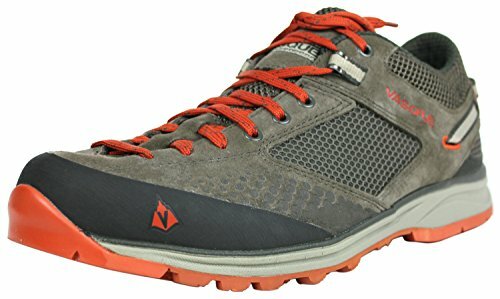 What brands and companies make the best hiking shoes? You’ll notice a few commonalities, when shopping for hiking shoes. The best boots provide great ankle support – especially if they’re backpacking or day-hiking boots – they are breathable, durable, have internal support, and provide mid-sole comfort. If you can find a pair of hiking shoes that check all those boxes, you’ll be in good shape. 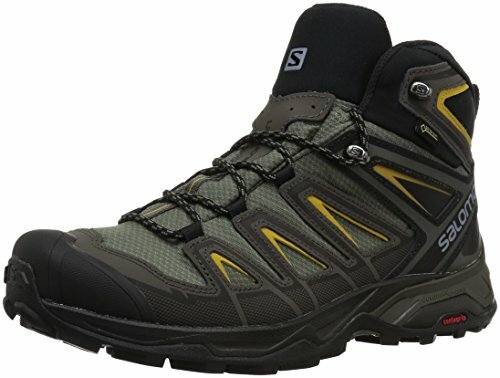 Need a help finding the best hiking boots and shoes? 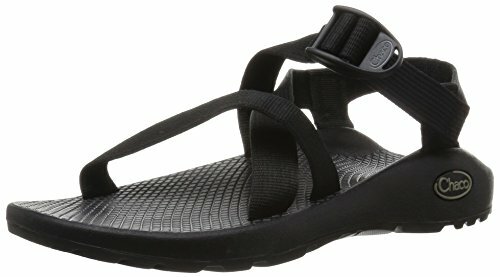 Best Hiking Sandals – Looking for a lightweight, water-friendly option? A pair of hiking sandals might do the trick. Hiking sandals are best reserved for gentle terrain and well-kept trails. 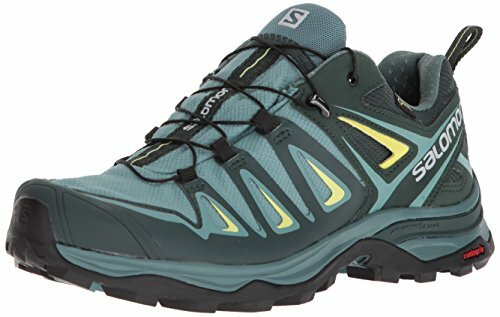 Best Hiking Shoes – These are like trail-ready sneakers; they’re low-cut, lightweight, and built for gentler terrain. Hiking shoes are essential components of any outdoor trip. Best Hiking Boots – On those longer treks without a heavy load, day-hiking boots add more support. They’re typically mid- to high-cut, while matching flexibility with support. Best Backpacking Boots – When you’re carrying a 35-pound pack, you need boots that are sturdy, supportive and durable. Backpacking boots are rugged and high-cut, and designed to maximize ankle and heel support. No matter the type of hiking shoes you’re looking for, we’ve got the low-down on the best of the best. We poured over hundreds of options, and these hiking boots, sandals and shoes offer great support, incredible comfort, and excellent durability. These are the best hiking shoes for men and women. And inside on this list you will find outdoor brands such as Salomon, Merrell, Timberland, Keen, Danner, Columbia, REI, North Face, Backcountry and more. Sandals on the trail? It doesn’t sound practical. But there are a bunch of battle-tested hiking sandals that are perfect for easier terrain, kayaking, or for around camp. KEEN is a leader in making versatile footwear. And the Arroyo II is the perfect example. The Arroyo part hiking shoe and part sandal. Made from waterproof leather, this sandal has a traditional hiking shoe shape, with open vents cut into the upper for breathability. Plus, KEEN’s proprietary outsole design – which features a multi-directional geometric pattern – is designed to provide great grip and stability, no matter the terrain. The Arroyo II’s also receive high marks for comfort, thanks to a supportive footbed. If you’re trekking in the washed-out trails of The Narrows in Zion, a pair of Arroyos are the right fit. Pros: Super comfortable and foot-hugging. The Arroyo’s footbed is like walking on a cushion. Plus, the bungee laces make it easy to step in and go. Cons: Runs about ½ size too big for most people who buy these hiking shoes. Outsole is a bit clunky and heavy, which can make it difficult to grab in rough terrain. The Arroyo hiking sandals are the perfect amphibious hiking shoe – perfect for wet trails and moderate terrain. 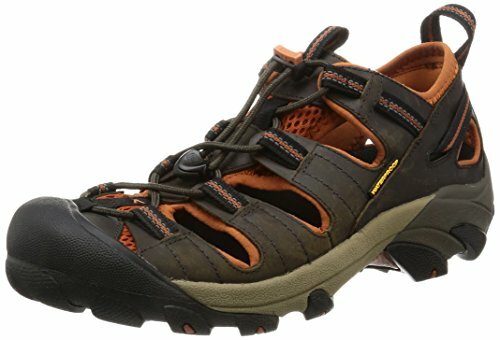 These are excellent hiking sandals for beginner, intermediate and advanced hiking enthusiasts and hobbyists. In addition to being our top-rated hiking sandal, we recommend the Keen company as they produce many high quality outdoor products including shoes, boots, sandals, and work boots. >> Learn how to buy the best hiking shoes in America! 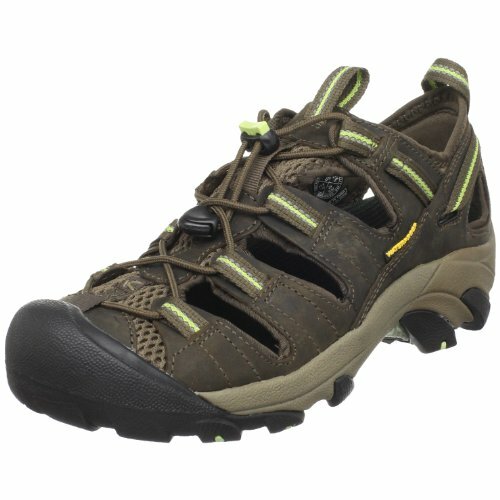 Since 1989, the Z1 has been a favorite hiking sandal for men or women. And it makes sense. These minimalist sandals – they feature only 8 components! – provide comfort, support and they’re perfect for trekking. You’ll notice the fit and comfort are to-die-for. The Z1 features a signature LUVSEAT footbed, which contours the foot and provides plenty of cushion. The sturdy webbing straps allow you to customize the fit – you can quickly tighten it down to hug the foot. You’ll also notice some trail bona fides. The ChacoGrip outsole is effective at catching rocks and giving excellent footing, while having some give. Pros: Break in quickly. Comfort is incredible – they’re orthopedic approved – and the footbed gives great arch support. Super lightweight, but with sturdy construction. Cons: Runs narrow and a half-size too big. If you have a wider foot, go for the wider footbed. And you might try a half-size down. The Z1 sandal are so lightweight, they make a great luxury item in your pack on multi-day treks. Finding a hiking sandal that combines comfort and stability, can be challenging. 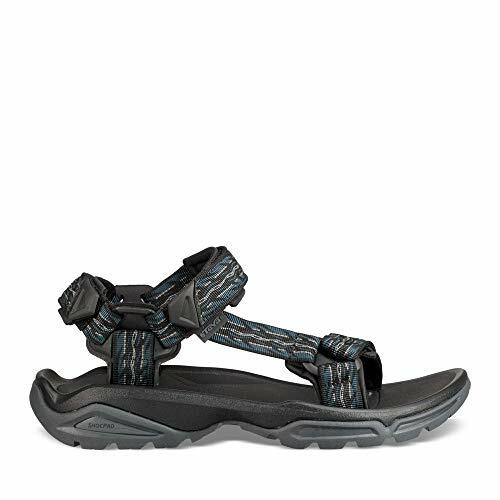 But we are confident you will love these sporty hiking sandals to add to your collection. Be sure to let us know how you like them after you buy them, by leaving a comment below. We also highly recommend these women’s hiking sandals. 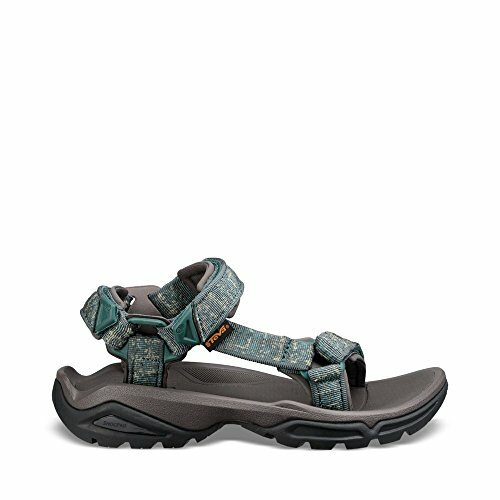 *** Women, click here to purchase these hiking sandals. Another awesome water shoe/sandal hybrid, the All Out Blaze Sieve is perfect for outdoor day hikes with numerous stream crossings. The construction is on point, the comfort is great, and you can adjust fit easily. These sneaker-sandals feature a waterproof leather upper, which covers an elastic synthetic membrane. The inner part of the upper hugs your foot; it’s a bit of a tighter fit, but it provides great support. Cut-outs on the upper and at the heel give the Blaze great breathability, and make them perfect for wet early-summer hikes. Plus, the Vibram outsoles have some flex, while providing a chunky grip. The Blaze also has a rugged look with several far-out color patterns; they’re great for the outdoors or a trip to the grocery. Pros: Solid construction and quality components. The Unifly midsole provides incredible support. Easily to adjust and tighten down, which eliminates rubbing and blistering. Cons: These shoes run small and the fit’s already narrow to begin with. Some won’t like the foot-hugging fit. The Vibram soles are flexible, but also a bit clunky and heavy. ﻿Comfort and built-tough, the All Out Blaze sieve hiking shoes make great spring or early summer hiking footwear. The TEVA name is synonymous with outdoor sandal. And in terms of performance, it doesn’t get much better than the Fi 4. This is a rugged, all-terrain sandal that’s built to go just about anywhere. The materials are on-point. They feature water-resistant, quick-drying polyester webbing straps, as well as sturdy nylon shanks for added support. The heel Shoc Pad, Spider rubber outsole, and cushy footbed provide the ultimate in comfort. Bottom line, TEVA sandals are great for outdoor adventures, and the Fi 4 is one of the best of the best. Pros: Perfect fitting with great heel support, arch support and comfortable, soft-nylon shanks. These will be your old faithfuls; they last years. Lots of people replace their sneakers with TEVAs. Cons: Some don’t like the narrow, tight fit and the closeness of the nylon shanks. The webbing straps tend to run on the shorter side. ﻿TEVA’s Fi 4 sandals have long been a favorite of outdoorsy people. Of all the sandals available, these stand up to the roughest of terrain. 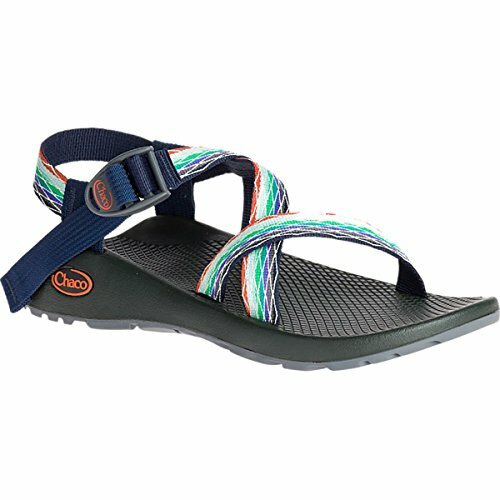 The Teva Women’s hiking sandals also combine a substantial amount of comfort and quality for consumers. The reason we recommend these hiking sandals for beginners and intermediates who want comfort and style with any hiking excursion. Personally, we have tested these hiking sandals on terrains and trails from Utah, Texas, Colorado to Idaho. Both women and men can benefit from the style and comfortability of their hiking gear. Hiking shoes hug the line between tennis shoes and boots. They’re sturdier, super comfortable, and they’re best for day hikes, trail running and, in some cases, longer hikes. Altra hiking shoes is a brand know for its trail-running shoes, and the King MT might just be its best model yet. These trail runners designed for burly, muddy adventures. These have all the features you’d want from a quality trail running shoe. They’re built with Vibram outsoles, with a chunky tread. That gives supreme traction in mud, wet conditions, or on loose gravel. Plus, the StoneGuard rock plate adds a layer of protection over jagged surfaces. The King MT runners also feature a Ripstop, quick-drying upper – great for wet racing – as well as a sturdy strap, which keeps your foot locked in place. Overall, these are some of the top trail running shoes. Pros: The best traction in muddy, nasty conditions. These are perfect for Tough Mudder races or early-season dayhikes. Great comfort. Nice tight fit. Cons: These hiking shoes run a little small. Buy a half-size up for optimal fit. Somewhat flat, could have a bit more arch support. If you’re interested in trail running, or you find yourself stuck in the mud, the King MT 1.5 trail runners make a wise choice. These are excellent hiking shoes, in fact, they are our favorite by far. 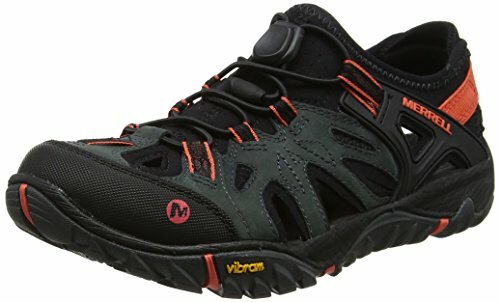 These are the highest quality hiking shoes for any level hiker: beginner, intermediate, and advanced hikers. 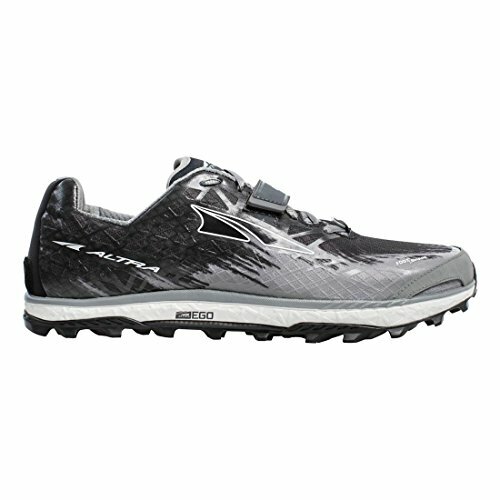 If you have any doubt that these are the best trail running and hiking shoes in the business, the co-founder and publisher of this site wears a size 13 men’s version of these trail runners and they are wonderful. 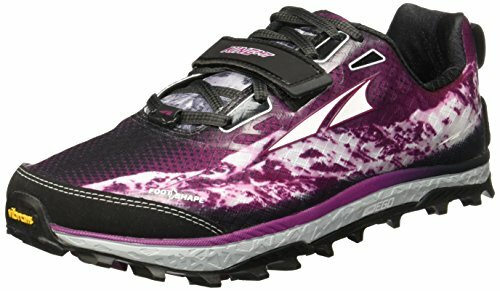 >> Buy the Altra King MT Trail Running Shoes for men or women! There’s a lot to love about the Moab 2, or as Merrell calls them the “Mother of All Boats.” These are true out-of-box hikers that provide great comfort, excellent ventilation, and you won’t need to break them in. The design matches ruggedness with performance. They feature a deep 5-millimeter tread on the Vibram outsole, which clings to trails. And the suede and mesh upper provide excellent breathability. Your feet won’t get too hot. The comfort is off the charts too. The Moab 2 features a M Select FIT.ECO+ footbed, which incorporates a contoured shape. That provides great cushion and a comfortable fit. Plus, the air cushion heel adds support and flexibility. There are several versions. But we prefer the low-cut Moab 2 Ventilated. If you expect lots of wet conditions, you might choose the waterproof version, though. Pros: Excellent midsole comfort; although if you’re flat-footed, you might not like the contoured shape Great stability and support. Perfect breathability. Cons: Sizes is different from original Moab boots. They run a bit larger. A bit looser in style, which can lead to rubbing and blisters. ﻿The Moab 2 improves upon the original Moab boot. 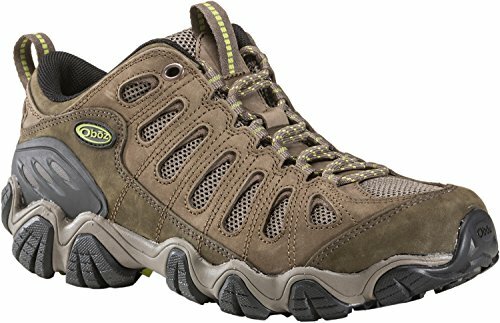 This is an excellent choice for long day hikes, rugged terrain, or if you spend a lot of time on your feet at work. 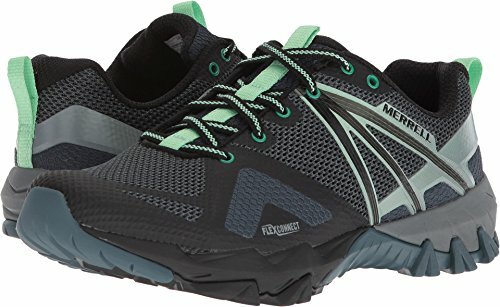 Another highly recommend hiking shoe for all beginners, intermediate, or advanced hiking enthusiasts. The Grand Traverse have a sneaker-esque look. 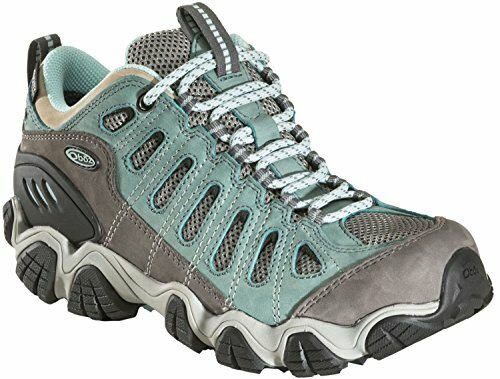 But in terms of performance, these hiking shoes are designed for the trail. Whether you’re trail running, scrambling up rocks, or prepping for a long day hike, these sleek shoes will suit your needs. The shoe’s upper is built from sturdy suede leather, and that’s matched with a PU mesh. The rubber toe protection is great for rocky ascents. The mid-sole is made from an EVA molded foam that forms to your foot, and provides great support and comfort. And the Vibram Ibex rubber outsole features a unique pattern that’s designed to maximize traction. These are great outdoors shoes. Perfect for just about anything you throw its way – from FKT attempts, to flat-peddle mountain biking. Pros: These shoes look super cool – a bit of a skate shoe/athletic sneaker look. The EVA sole adds great support and the comfort is impeccable. Cons: A bit small; order a half-size up. The mesh upper is a bit soft, which makes these not as rugged as other hiking shoes. The Grand Traverse hiking shoes are the coolest looking, plus, they’re great for just about whatever you throw their way. One of the greatest things about these hiking shoes is the sole. They have heart and soul. 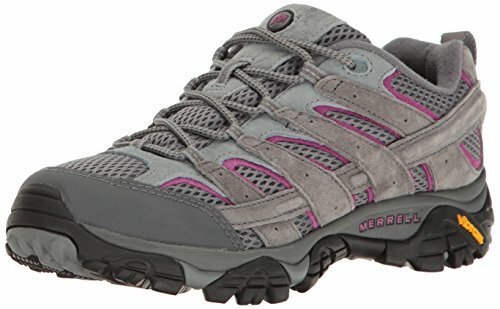 They are amazing hiking shoes for both men and women. Check these hiking boots out… no hike can hold them down. 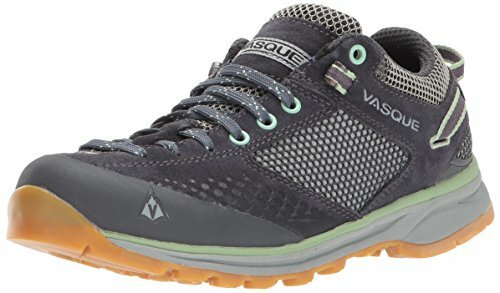 >> Buy the Vasque Grand Traverse Hiking Boots for men or women! These are excellent out-of-box trail shoes. No need to break them in; you’ll get comfort on the first day you buy them. What you’ll love: the leather-and-mesh upper is durable, able to withstand rough terrain and the BDRY membrane make these effectively water-resistant. Sawtooth hiking shoes also feature some great comfort/fit features. There’s the Bfit deluxe footbed, a cushiony material that provides great arch and toe support. The 3D molded heel counter adds stability at the back of the shoe, and helps to prevent slipping. And for a waterproof hiking shoe, they also provide a surprising amount of ventilation. Pros: Great for long-distance treks. The comfort is undeniable, and the construction is supreme. These boots will last until you’ve walked right through them. Cons: The narrowness of the heel makes them just OK on steep ascents. The outsole could be a bit stickier; they can get slick quick in wet conditions. 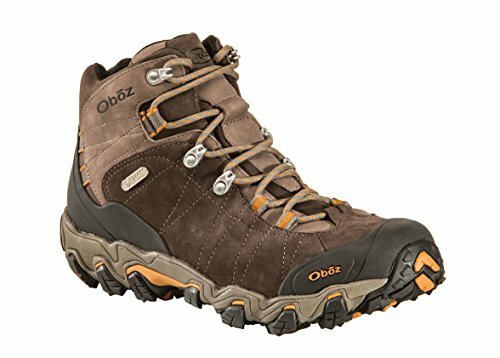 Oboz might be a bit off the radar, but they produce quality boots. And in terms of hiking shoes, these are some of the sturdiest on the market. Not only are they sturdy and stable hiking shoes, but they also last a few years . They have longevity. 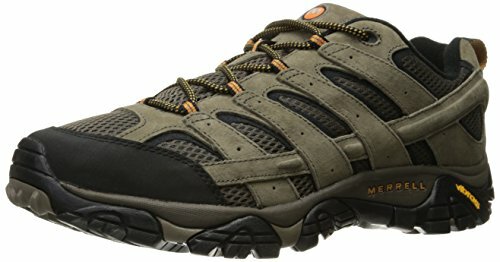 Be sure to check out these hiking shoes for your hiking collection. >> Learn how to buy the Oboz Hiking Boots! Need something for a long day hike? Day hiking boots tend to be mid- to high-top and provide ankle supper and sturdy outsoles. These are perfect for hikes on rugged terrain, when you aren’t carrying a pack. The Stream boots have a sleek, mid-cut look; these almost could pass for basketball sneakers. But they’re fully equipped with some great day-hiking features. The upper features a Nano Cell 2.0 structure, which is designed to maximize breathability, while adding stability. The outsoles are Vibrant XS Treks, featuring an innovative Impact Brake system. They’re designed to make descents easy on the knees, while maximizing grip and traction. Finally, the insole is equipped includes Gore-Tex ventilation channels, that keep your feet from getting too hot and sweaty. 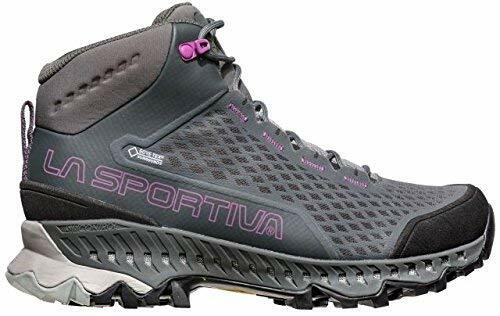 These boots have a decidedly futuristic look, and plenty of innovative features that make them great for long-haul day hikes. Pros: Durability and comfort earn high marks. The midsoles provide an incredible cushion to walk on. And the construction is designed to last. Cons: The waterproofing could be better. In super wet conditions, these might not be the best pick. 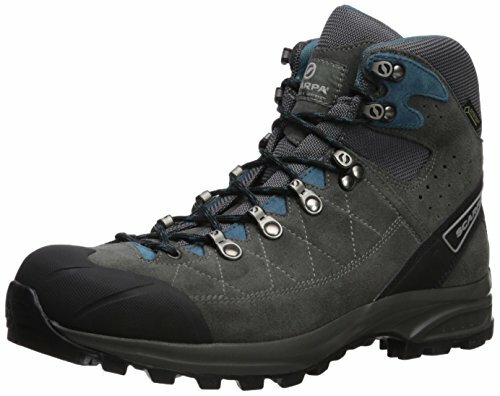 Stream boots from La Sportiva provide excellent support; these are the best of the best in athletic day hiking boots. (1) They are stable and comfortable hiking boots. (2) They last a long time. (3) They provide a steady and secure footing on any terrain. >> Learn how to buy the La Sportiva Stream GTX Hiking Boots! Merrell built the MQM mid-cut boots based on the recommendations of athletes. But they’re perfect for just about any day hike or even shorter multi-day treks. There’s a lot to love about them. For starters, they’re built from durable materials. These boots feature an M Select DRY membrane, which provides excellent waterproofing. And the FLEXconnect midsole is flexible, yet ultra-stable. In other words, they provide footing on uneven terrain. Other great features like the signature air cushion heel, the removable footbed, and the TrailProtect pad make these some of the most comfortable on the market. Overall, if you want to move fast on the trail, these are the perfect boots. They’re lightweight – weighing just under a pound – and the sculpted outsole make them perfect for rugged terrain. Pros: Great out-of-box comfort. Durable and effective waterproofing. Ankle support is really solid. Cons: They run narrow. They fit snuggly too, which isn’t great if you prefer a somewhat looser fit for comfort. Merrell’s MQM boots are built for fast moving and nasty terrain. These are perfect for early-season hiking. 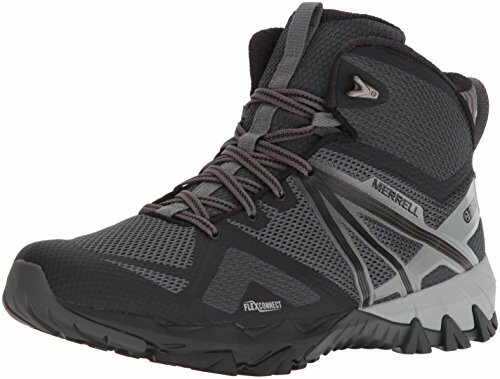 >> Learn how to buy the Merrell’s MQM Hiking and Backpacking Boots! Ariat builds footwear for equestrians, and they’re known for their quality construction and innovative designs. This day-hiker though, the Terrain H20, checks all the right boxes for a hiking boot. For starters, they have a classic hiking footwear design. The copper brown leather upper looks refined, yet rugged. You’d probably find AT hikers in the 1970s wearing similar-looking boots. The padded collar adds comfort around the ankle, and a waterproofed membrane keeps water out. Pros: Great grip, no matter the terrain. Easy to clean. Super elegant aesthetic. Cons: Not built super tough. 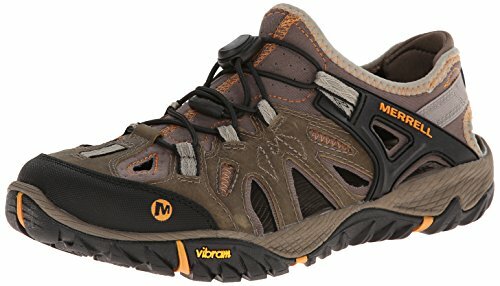 If you’re a casual hiker, these are a great choice. Plus, the waterproofing is effective, but won’t withstand a deluge. Ariat’s Terrain H20 boots are perfect for once-a-month hiker. The Ariat’s are top-quality, and dependable hiking boots for any season. The Salomon X Ultra 3 GTX boots are trail-tested and perfect for ascending and descending in rugged conditions. That’s in part due to a few features. 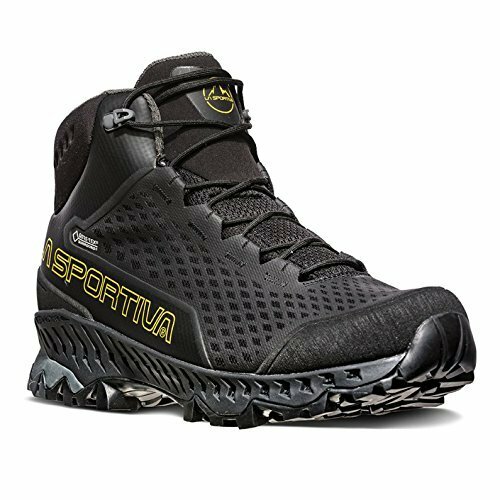 The boots featured Descent Control technology, which is a rugged, deep-grooved outsole pattern that make steep descents a breeze. An Advanced Chassis foamed heel adds great stability around the lower ankle, and Salomon’s Sensifit design effectively cradles the foot. Plus, a Gore-Tex upper makes for excellent ventilation. This is the perfect all-season hiking boot. Pros: Effective waterproofing and ventilation. Your feet won’t get too hot. Easy to break in. Great ankle support, with some flexibility. Cons: Toe box is a bit snug, which is a problem on rougher terrain. Fit is tight too. If you like a looser fit, these aren’t the boots for you. Salomon’s X Ultra 3 GTX mid-cut boots are the perfect trail runner/day hiking boot hybrid. They’re perfect for steep descents in all seasons. I can also speak personally here and say that the co-founder and publisher of this site…. purchased the Salomon Women’s X Ultra hiking for his wife and she loves them! >> Learn how to buy the Salomon X Ultra Hiking Boots! Backpacking boots, or trail boots, are typically high-top and ultra-supportive. Most include additional internal support to add stability around the ankles. If you’re a thru-hiker, or prepping for a long multi-night, these are the best. Named the “best for backpacking” by Men’s Journal, the Oboz Bridger boots are rugged, trail-ready boots that are perfect for thru-hikers. They have a classic look; an all-leather, waterproofed upper is refined and sturdy. Yet, the performance is anything but outdated. Each pair features a TPU footplate, which adds rigidity and holds shape. The BDRY waterproofing is effective, and helps to keep the wet out even in snow or wet conditions. Plus, Oboz says the leather is pre-worn, which helps to cut down on break-in time. Pros: An aggressive outsole design provides the best grip. 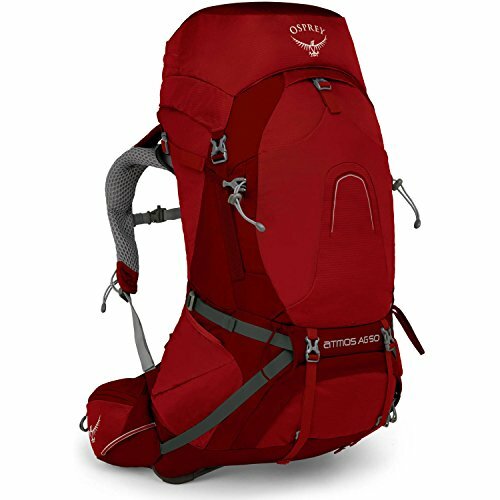 Internal support adds great stability, even if you’re carrying a 30-pound pack. Cons: Breathability could be better; your feet can get hot. They have a bit of a wider profile; if you have narrow feet you they might be a bit loose. There’s a reason the Bridger boots for hiking are award-winners. These backpacking boots have all the right features for long-haul backpacking trips. All-around, these are the best backpacking boots on the market. 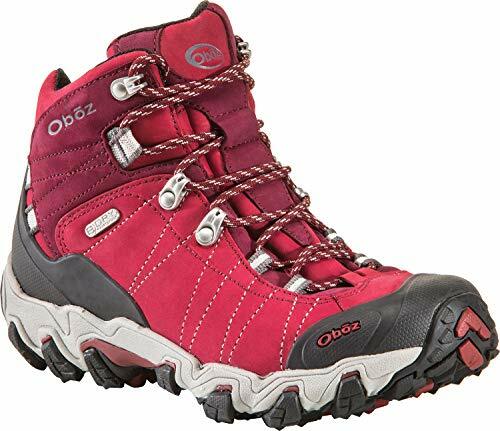 >> Learn how to buy the OBOZ Bridger Hiking Boots! The Kailash Trek is SCARPA’s best-selling trail boot and for good reason. This is a rugged, ultra-sturdy boot with a nice high-cut. It adds just the right amount of stability when you’re carrying a heavy load. The boot features a water-resistant suede leather upper, which is matched with Gore-Tex lining. The result is an effective water barrier that will keep your feet dry. There are other great trail-ready features too. A low-density PU intersole adds shock absorption, which is great for the knees. And the Biometric Trek sole – which includes a heal cushion – and Vibram outsole are designed to stick to the trail, no matter the terrain. Pros: These boots provide great ankle support, and they’re comfortable out-of-box. Super chunky tread. 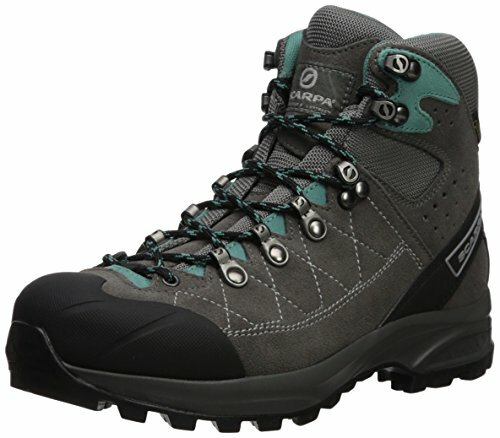 If you’re looking for a boot with excellent support, while adding a bit of flexibility, it’s the Kailas Trek from SCARPA. >> Learn how to buy the SCARPA HIKING BOOTS! The Tibet GTX has a super chunky profile and its built for adding maximum stability. 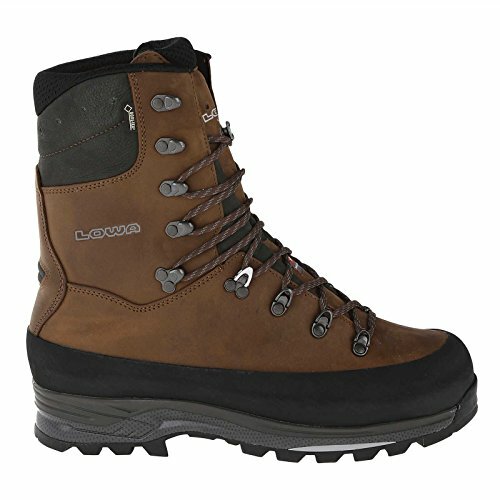 This is the perfect boot for long expeditions when carrying heavy loads. There are tons of unique features here. The I-Lock lacing cam, for example, allows you to use different tensions along the bridge of the boot and around the ankle. You can optimize fit for the type of trekking you’re doing. Plus, they’re fully Gore-Tex lined, which adds great waterproofing and breathability, and the Vibram Masai soles have a power-gripping tread. Pros: Super comfortable, supportive, and warm. Sizing is consistent, and the traction they provide is one of the best. Waterproofing is the real deal too. Cons: These are big, burly boots, and they’re so heavy, you might think you’re wearing cinder blocks. Breathability could be better too. Plus, they’re fairly expensive. LOWA’s Tibet GTX boots are ideal for nasty terrain when you’re carrying a heavy load. 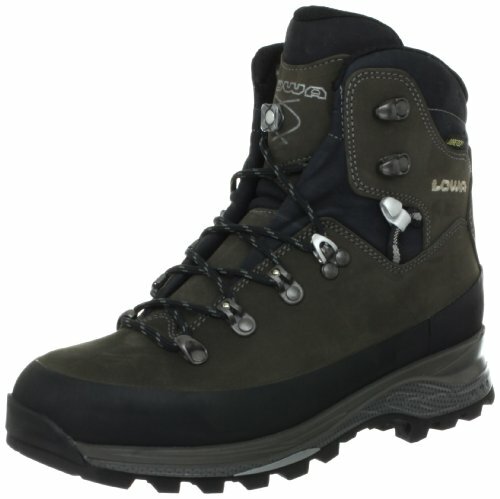 Overall, we think these boots will satisfy all skill levels and qualifications of hikers from beginners to advanced. You can’t go wrong picking these boots out, and when you buy them from Angel Outdoors, you will also enter to win the “Ultimate Outdoor Experience” which is featured below. >> Learn how to buy the Lowa Goretex Extreme Hiking Boots! Boots, Shoes, Sandals… Whatever you need for hiking and camping outdoors. Boots and shoes! Every great hike starts with great footwear. Any trekker you talk to has horror stories about wet boots, blisters, broken toenails. The best hiking boots and shoes can save your feet… And you’ll have a better outdoor experience and trip because of them. Plus, before you hit the trail, check out all of Angel Outdoors great camping gear recommendations. We have reviews for camping hammocks, backpacks, daypacks, tents, sleeping backs, and more. Think we missed some hiking footwear in this guide? Let us know! Follow Angel Outdoors on social media and give us your recommendations for other of your favorite hiking gear like shoes and boots.